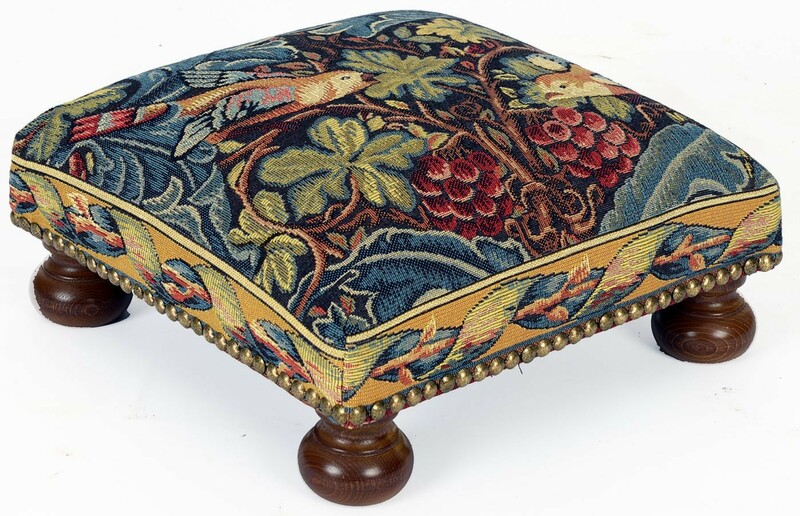 Small footstools can be upholstered in an almost infinite choice of tapestry designs. Contact the office to be sent the full range of patterns available. They make an attractive decorative accessory, and have been one of our best sellers for the last 25 years.